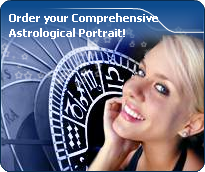 You will find below the horoscope of Ivanna Sakhno with her interactive chart, an excerpt of her astrological portrait and her planetary dominants. If you know the time of birth of Ivanna Sakhno, we would appreciate it if you would send us your information with your source, at stars@astrotheme.com. To thank you for contributing to the enhancement of our astrological database, we shall be glad to send you the astrological portrait (34 pages) of this celebrity. Horoscopes having the same aspect Jupiter sextile Saturn (orb 0°07'): Silvana Pampanini, Sepp Maier... Find all the celebrities having this aspect. Horoscopes having the same aspect Sun opposite Moon (orb 2°21'): Donald Trump, Catherine, Duchess of Cambridge, Demi Moore, Paul Walker, Amber Rose, Chelsea Handler, Lisa Bonet, Prince George of Cambridge, Joan Rivers, Evan Rachel Wood, Lewis Hamilton, Kirk Douglas... Find all the celebrities having this aspect. Celebrities clicked on in real-time: 576,219,494 times. Ivanna Anatoliyivna Sakhno (born 14 November 1997) is a Ukrainian actress, known for her role as Vik in the science fiction monster film Pacific Rim Uprising (2018). She will play Nadedja in the upcoming action comedy film The Spy Who Dumped Me (2018). Before moving in 2013 to the US and making it in Hollywood, Sakhno achieved certain prominence in Ukraine after appearing in 2005 in the first ever Ukrainian-language sitcom Lesia + Roma and later in 2013 in a Ukrainian biopic feature film "Ivan the Powerful". Sakhno was born in Kyiv, Ukraine. She first appeared in the 2005 TV series Lesya + Roma (Ukrainian adaptation of the successful Canadian sitcom Un gars, une fille) and her debut feature film role was in 2013 biopic film Ivan the Powerful. Her first major Hollywood role came in Thomas Dunn's 2016 thriller film The Body Tree. Here are some character traits from Ivanna Sakhno's birth chart. This description is far from being comprehensive but it can shed light on his/her personality, which is still interesting for professional astrologers or astrology lovers. In a matter of minutes, you can get at your email address your astrological portrait (approximately 32 pages), a much more comprehensive report than this portrait of Ivanna Sakhno. Warning: when the birth time is unknown, which is the case for Ivanna Sakhno, a few paragraphs become irrelevant; distributions in hemispheres and quadrants are meaningless, so are dominant houses and houses' accentuations. Therefore, some chapters are removed from this part. Like the majority of Earth signs, Ivanna Sakhno, you are efficient, concrete and not too emotional. What matters to you is what you see: you judge the tree by its fruits. Your ideas keep changing, words disappear, but actions and their consequences are visible and remain. Express your sensitivity, even if it means revealing your vulnerability. Emotions, energy and communication must not be neglected; concrete action is meaningless if it is not justified by your heart, your intellect or your enthusiasm. Ivanna Sakhno, Fire is dominant in your natal chart and endows you with intuition, energy, courage, self-confidence, and enthusiasm! You are inclined to be passionate, you assert your willpower, you move forward, and come hell or high water, you achieve your dreams and your goals. The relative weakness of this element is the difficulty to step back or a kind of boldness that may prompt you to do foolish things. After this paragraph about dominant planets, of Ivanna Sakhno, here are the character traits that you must read more carefully than the previous texts since they are very specific: the texts about dominant planets only give background information about the personality and remain quite general: they emphasize or, on the contrary, mitigate different particularities or facets of a personality. A human being is a complex whole and only bodies of texts can attempt to successfully figure out all the finer points. Your thirst for learning is considerable, Ivanna Sakhno, and you can spend a lifetime studying languages, geography, philosophy and law, particularly. You are open-minded and you want to abolish all kinds of frontiers. The humanist, who is dormant in you, may turn into a “frequent traveller” reaching out to others in order to understand them and communicate with them. You express your opinions and your beliefs with honesty and clarity and likewise, you receive others' views with enthusiasm. You have numerous centres of interest and you may be perceived to be superficial, heedless and over-optimistic. However, if you manage to control your tendency to scattering, all your encounters, all your discoveries can positively influence your philosophical life approach. Ivanna Sakhno, it is obvious that you do not easily fall in love. But when you do, your feelings are deep, quiet, serious, and above all, lasting. Your need for security is indispensable for your well being and to enable you to give. You offer security and stability with your sense of duty even though you mix up responsibility and love. The charm of your partner does not only include physical features or aroused sentimental attraction, but also intellectual and moral qualities: you fiercely need authenticity and seriousness because this is the way you are. In general, your loves are not numerous and you become able to express yourself quite late in life. Your quiet and stable feelings are really worth it. If you do not get what you want, the danger is that you may seek refuge in cynicism and that you isolate yourself. Ivanna Sakhno, you are so resistant and so solid that you are able to cope with any challenge, any ordeal. You behave with persistence, rigour and discipline. You are so obstinate and patient that no effort is impossible to you, as if sensitivity and emotions were unable to divert you from your goals. With calm and lucidity, even coldness, you face up to things and you plan on a long-term basis. Nothing and no one can prevent you from fulfilling your responsibilities. You are a rock, a hard worker, and your iron will equals your resistance to blows. Your practical sense is at the service of your ambition which is real and energetic, even though it may not be obvious. Sexually, you are active and vigorous. If you show more warmth, you may become an excellent lover; indeed, being demonstrative is not your major concern. This text is only an excerpt from of Ivanna Sakhno's portrait. We hope that it will arouse your curiosity, and that it will prompt you to deepen your knowledge of astrology, as well as to visit and use the wide range of free applications at www.astrotheme.com.